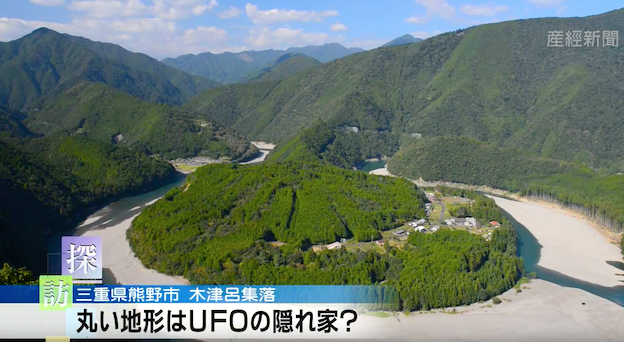 UFO SIGHTINGS DAILY: Japanese Find Ancient UFO In Mountains Of Kumano Mie, Oct 17, 2015, Video, UFO Sighting News. Japanese Find Ancient UFO In Mountains Of Kumano Mie, Oct 17, 2015, Video, UFO Sighting News. Here is a disk shaped area of land that many in Japan believe to be an ancient UFO that landed and was covered over through the years. I have to admit the shape is unique and there the center does have a raised area on it. Sorry the translation is just not working, but I will put the original Japanese below.